Cuba can be a difficult country for visitors to navigate. Limited internet and no mobile data makes planning on the fly challenging and utilizing real time travel apps impossible (though offline options are helpful). A huge gap between the best and worst restaurants, the most comfortable and uncomfortable lodging options and the most reliable and unreliable service providers means you can win big or lose hard with your experiences. The Cuban people are amongst the kindest, warmest and most helpful in the world. Expect lots of smiles, hugs and extended hands when you need assistance. Cubans will be there to make your visit special. At the same time, education, laws and physical infrastructure affecting handicapped people are not as advanced as they could be. Travel providers should bridge this gap and ensure quality and safety throughout the trip. There are fabulous places that are handicap-accessible, but you won’t find that information in guidebooks or online guides. It takes serious planning and local sources to prepare. Ground floor casas, luxury hotels and a multitude of accessible dining options exist, many are simply not advertised as such. Throughout the country, specific theaters, cultural institutions and historical sites are substantially more handicap-friendly than others. Analyzing the conditions and considering traveler preferences is essential. The difference between choosing Trinidad or Cienfuegos for a visit, for example, is significant in terms of traveler experience. Museums, including the most popular in Havana, the Fine Arts and Revolution Museum, are both handicap accessible. Restaurants like Rio Mar, Santy Pescador and Marea are accessible waterfront dining options. Cultural visits to ground floor or elevator-equipped art galleries and music venues are a great option. Unfortunately, Havana’s most popular cultural spot, the Fabrica del Arte, does not have an elevator to get to its 2nd and 3rd floor or the upstairs restaurant. Driving tours, popular with all travelers to Cuba, can be an exceptional way to see the country. 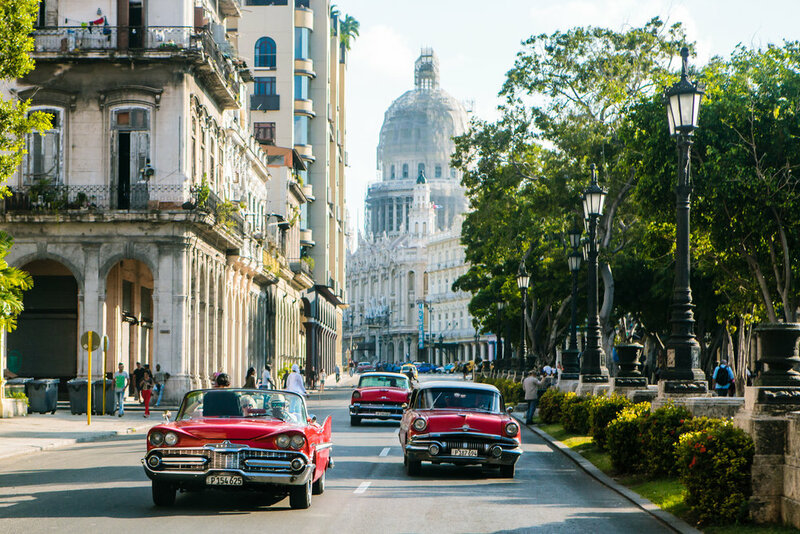 In Old Havana, you can buzz around in a 50’s Chevy convertible instead of navigating treacherous cobblestone streets and small alleyways. One of the most fascinating elements of 21st century Cuba is the transportation situation. Cubans use busses, jeeps, trucks, tractors, motorcycles (even side-cars), 1950s American classic cars, Soviet-era workhorse Ladas and Moskvich’s, modern Asian and European cars and everything in-between. They literally use everything and anything to get from point A to point B, including lots of hitchhiking. With a limited supply of handicap-friendly vehicles, planning in advance and contracting the necessary support is essential. Dealing with it on the fly will result in a great adventure, as well as lost time and money, not to mention endless surprises. There are very few providers that have experience working with handicap travelers and the necessary ground team and expertise to accommodate their specific needs. It’s important to choose a provider that has experience, local staff and a level of communication that makes clear they’ll focus on the necessary details to deliver a trip of a lifetime taking into account both the challenges and incredible opportunities Cuba offers as a destination. Handicap travel to Cuba — it’s possible, and with proper planning, has the potential to be the trip of a lifetime!